The first rain in eight days hit at an opportune moment for No. 16 seed Keenan Mayo, who had just lost his fourth game in a row in the third set of his 16s quarterfinal match with unseeded Matthew Tsolakyan. 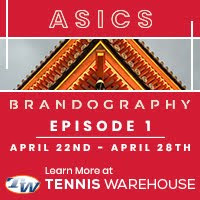 Tsolakyan was ready to serve for the match on Stowe Stadium’s Court 3 when Mayo requested a medical timeout, and by the time the trainers reached the court and began assessing his condition, the rain drops started to fall. 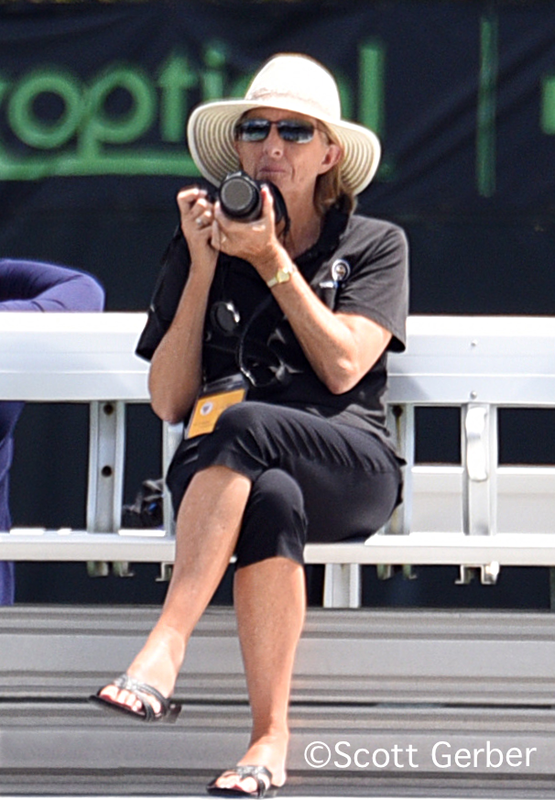 The shower was brief, but the match was moved indoors to the air-conditioned Markin Tennis Center on the Kalamazoo College campus, with drying the courts expected to take some time in the heavy heat and humidity. 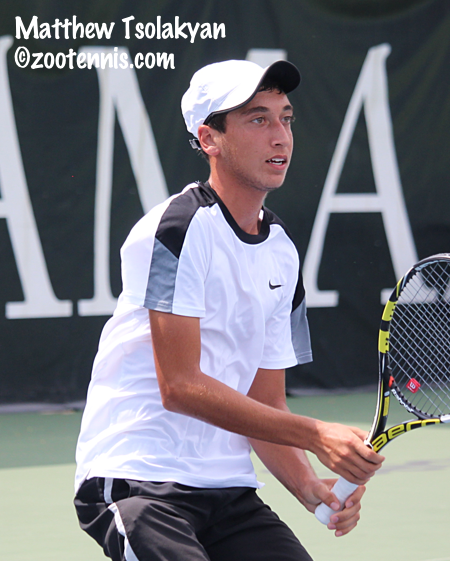 Although as a Southern Californian, Tsolakyan had no experience with indoor tennis, the 16-year-old left-hander handled the situation well, and five points after the final game began, he had completed a 3-6, 7-6(4), 7-5 win to reach the semifinals. Mayo had opened the door for Tsolakyan in the second set tiebreaker, when, at 4-5, after two Mayo winners on Tsolakyan’s serves, Mayo double faulted twice to give Tsolakyan the set. Serving for the match at 5-3 in the third set, Mayo again had trouble, with another double fault at 30-40 putting Tsolakyan back on serve. Tsolakyan held his next service game with an ace at 40-30, and when Mayo was broken at love, he asked for a medical timeout. The key point in the final game indoors came with Tsolakyan serving at 30-15. Mayo hit a huge forehand and came in, only to have Tsolakyan rifle a forehand past him from an impossible defensive position. With two match points in hand, Tsolakyan needed only one, with Mayo’s forehand going wide to end the match. Tsolakyan said he was determined to find the balance he needed to get back in the match after the first set. Tsolakyan is pleased with the level of tennis he’s shown this week, beating three seeds en route to the semifinals and saying it’s “definitely” the best he’s ever played. “I was hoping for this but I didn’t expect it,” Tsolakyan said. Tsolakyan has a tall task on Saturday when he takes on top seed Lukas Greif, who defeated unseeded Blake Croyder 6-0, 6-2 in 51 minutes. Greif, who has lost only six games in his last three wins, acknowledges that he is rolling now. 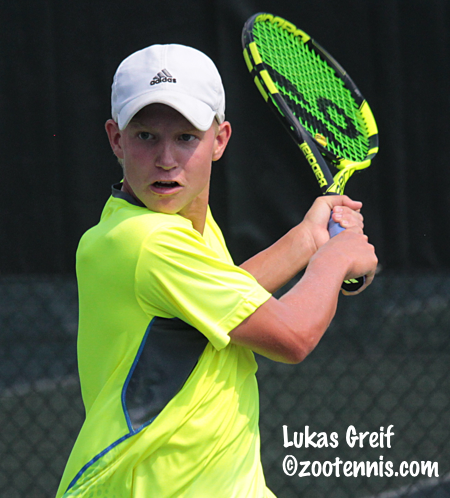 Greif went up 6-0, 2-0 before he was broken by Croyder, who held serve in the next game for the only time in the match. After winning the 16s Clay Court title in Delray Beach Florida last month, Greif had valuable experience coping with the heat and humidity. The other 16s semifinal will feature No. 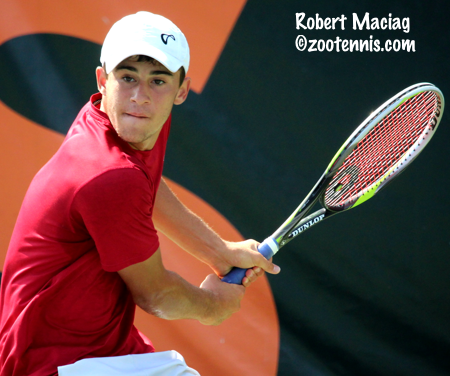 15 seed Robert Maciag, who defeated unseeded Sangeet Sridhar 6-1, 6-4, and No. 10 seed Jenson Brooksby, who took out No. 13 seed Trey Hilderbrand 6-3, 6-7(4), 6-2. Maciag was dealing with a sore shoulder, but that problem proved less difficult for him than Sridhar’s hip issues were to his chances. After the two traded breaks to open the second set, each held serve until Sridhar was faced with serving to stay in the match at 4-5. Visibly struggling with his movement, he lost four straight points and the match. 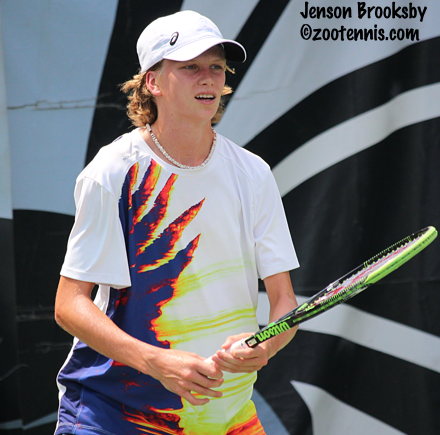 Brooksby reached the semifinals before the rain came, and it was the 10-minute break between the second and third sets that helped him get through it. Although he won the opening set, Brooksby wasn’t happy with his level. Brooksby doesn’t play a power game, but his placement and court sense have proven too tough for his opponents this week. Brooksby is playing in his first Kalamazoo. The 16s semifinals will start at 9:30 a.m. on Saturday, followed by the 18s semifinals. No. 6 seed Zeke Clark plays No. 7 seed Vasil Kirkov in one 18s semifinals, with No. 1 seed Michael Mmoh against No. 8 seed Trent Bryde. The doubles finals are set for Saturday afternoon after singles. The 18s championship match will feature No. 4 seeds JJ Wolf and John McNally and unseeded Nick Stachowiak and Sean Sculley. Stachowiak and Sculley were a game into their semifinal match with No. 3 seed Patrick Kypson and Oliver Crawford when it was moved indoors, with Stachowiak and Sculley earning a 2-6, 6-4, 6-4 win. Wolf and McNally defeated No. 10 seeds Anudeep Kodali and Sam Riffice 7-6(1), 7-6(5) with the entire match played indoors. The 16s doubles semifinals were played outside after the courts dried, with No. 2 seeds Andrew Ton and Maximilian Wild beating No. 5 seeds Trey Hilderbrand and Jaycer Lyeons 6-4, 6-3. They will play No. 11 seeds Maciag and Jared Pratt, who beat No. 6 seeds Greif and Drew Baird 1-6, 6-3, 7-6(3) to close out Friday evening's matches. See ustaboys.com for all results.